3 Bedroom Semi Detached Bungalow For Sale in Sidmouth for Asking Price £260,000. 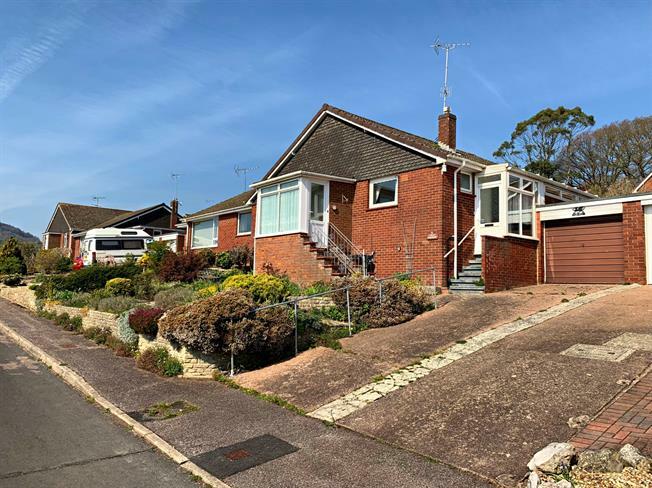 This three bedroom semi detached bungalow occupies an elevated plot enjoying excellent sea and countryside views across the Sidmouth valley. The flexible accommodation benefits from a spacious kitchen breakfast room and sitting room which both enjoy fine views towards the sea. To the rear of the property are beautifully kept gardens primarily laid to lawn with a range of well stocked shrub, plant and tree borders alongside a greenhouse and timber garden shed.